EAs also known as Expert Advisors or Trading Robots, can literally make your trading profitable overnight. The biggest pitfall of a human trader is emotion. Traders tend to suffer from 2 primary emotions – Fear and Greed. Ask any seasoned trader and they will tell you that it took years for them to overcome these emotions and become profitable in trading. EAs/Trading Bots have no emotions. Being machines (code), they can execute your strategy flawlessly, on-time, every time! Furthermore, unlike human traders, EAs can trade 24 hours a day, 5 days a week i.e. the entire duration when the markets are open. Traders are are also unprofitable as they miss out on all the “clean-up” trades i.e. profitable trades that occur in the middle of the night or early morning or simply another time, when they are not watching the screen. As profitable trades can come along at any time of the day or night, human traders tend to miss out on a large proportion of these as most traders cannot actively trade for more than a few hours per day. EA/Trading Bots solve this problem by being there 24 hours a day, patiently monitoring the markets for setups that match your trade criteria. 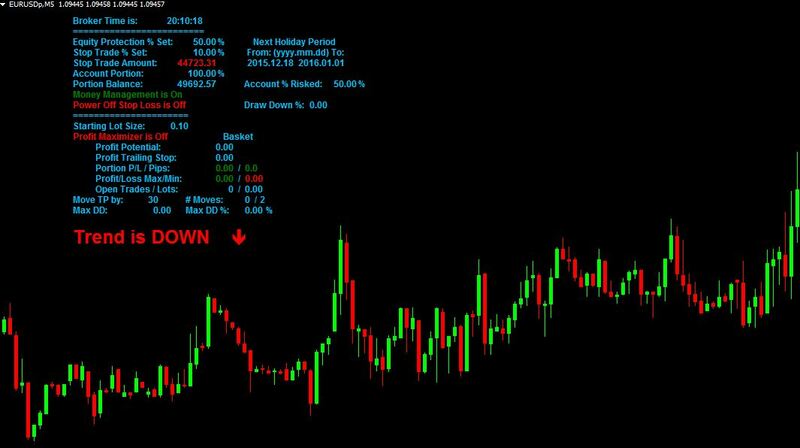 If you would like us to code an EA/Trading Bot based on your strategy or simply use one of our own, please contact us for further details and pricing, which starts from just £99/$149. Traders are are also unprofitable as they miss out on all the "clean-up" trades i.e. profitable trades that occur in the middle of the night or early morning or simply another time, when they are not watching the screen. As profitable trades can come along at any time of the day or night, human traders tend to miss out on a large proportion of these as most traders cannot actively trade for more than a few hours per day.